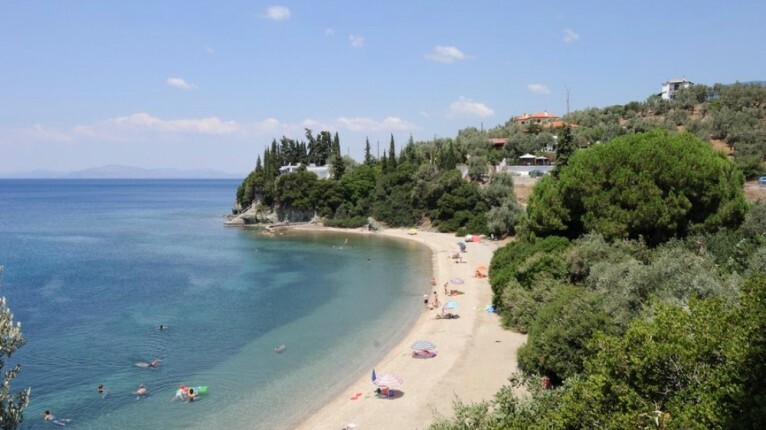 Pelion offers numerous beaches from both sides, facing the Aegean Sea as well as Pagasitikos Gulf, and they are famous for their crystal clear blue waters, with a large portion of them having been awarded the prestigious Blue Flag by the European Union. The variation of beaches cater for all tastes, with options of sand or shingle, small beaches off the beaten track offering relaxation and seclusion or busier beaches with a greater choice of eating places and accommodations. Indeed, something for everyone, visitors and locals alike. 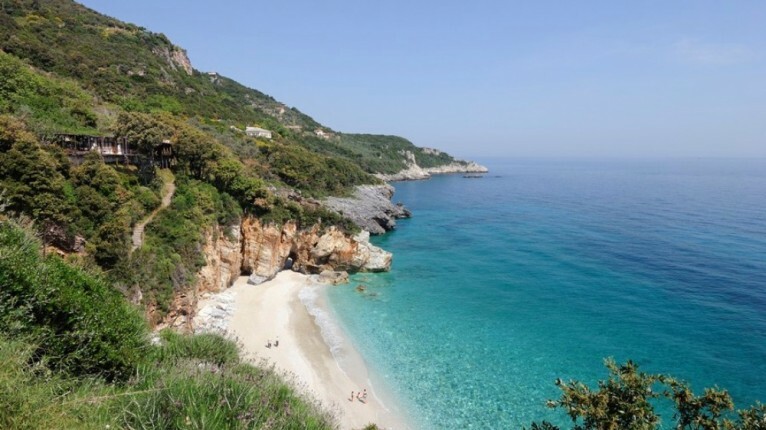 At a distance of 8 km from Zagora, you will find perhaps the most famous sandy beach in Pelion. Located in the village of Chorefto, it is easily accessible and is an organaized beach with a host of amenities available to the visitor. For those who are looking for quieter spot, head for the north end of the beach which offers other smaller stretches of sand. The sandy beach of Agioi Saranta, is 2km away from Chorefto. This beach offers numerous amenities to the visitor, and combined with its ease of access it is a popular destination for swimming and relaxation. 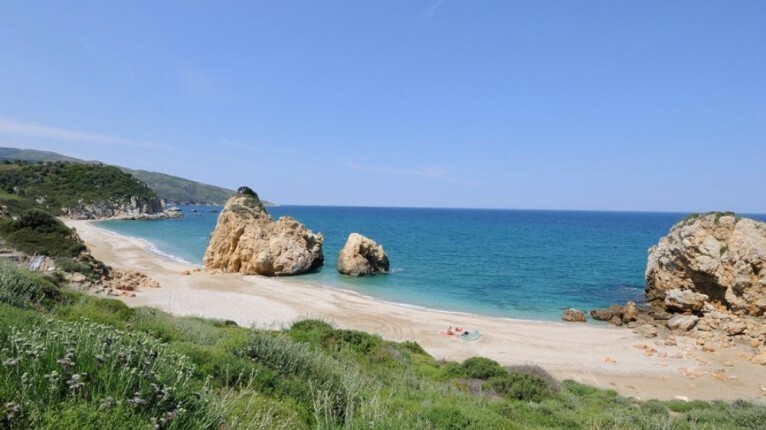 This stunning sandy beach is located in the village of Agios Ioannis. Easily reached on foot, it offers numerous facilities and amenities and is very popular during the summer months. The beach of Agios Ioannis is awarded the Blue Flag every year. Papa Nero beach is situated next to the village of Agios Ioannis. It is an organized beach with ease of access and it is quite popular during the summer months. For this reason, parking your car might prove challenging but it is well worth a visit. In the village of Damouchari there is a small, white pebble beach. It can be accessed either from Mouresi or Agios Ioannis, and there is also a stone pathway that will take you there from Tsagarada. The seabed and its morphology make Damouchari beach ideal for scuba diving. 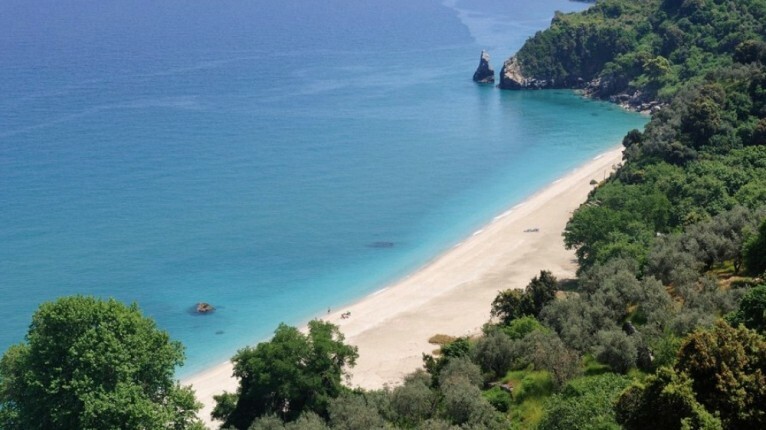 Milopotamos is one of the most well-known beaches of Pelion. It consists of sand and smooth pebbles and it is located 7 km from the main road. It offers a large parking area and it is easily accessible. It is differentiated from other beaches by the characteristic rock which splits the beach in two. During the summer months this beach is extremely popular with both visitors and locals. This unique beach is characterized by its visitors as the most beautiful beach in Pelion. The fact that it is not easily accessible should not deter you from visitng as you will be rewarded by its sheer beauty. It offers crystal turquoise waters and a complexion of sand and small pebbles. It is not organized but does have a few picnic tables for visitors to use. Just 5 km from the main road of Tsagarada, you will leave your vehicle approximately 200 meters from the beach and proceed on foot the rest of the way. There is also a path that can take you to Agios Athanasios, Damouchari and Agios Giannis and another which leads to the cave where the secret school operated during the years of the occupation of Greece from the Turks. The beach of Limnionas is located 4km from the main road, and it consists of sand and small pebbles. From this point, there are hiking paths that lead to the beaches of Milopotamos and Lampinou. Access to this beach can be a little challenging as parts of the road are very narrow. Lampinou is a very small sandy beach and it is situated right below the village of Lampinou and at a distance of 4 km from the main road. Just 100 meters from the beach there is a parking space where you should leave your car and proceed on foot. The monastery of Panagias Lampidonas is in close proximity to the beach. 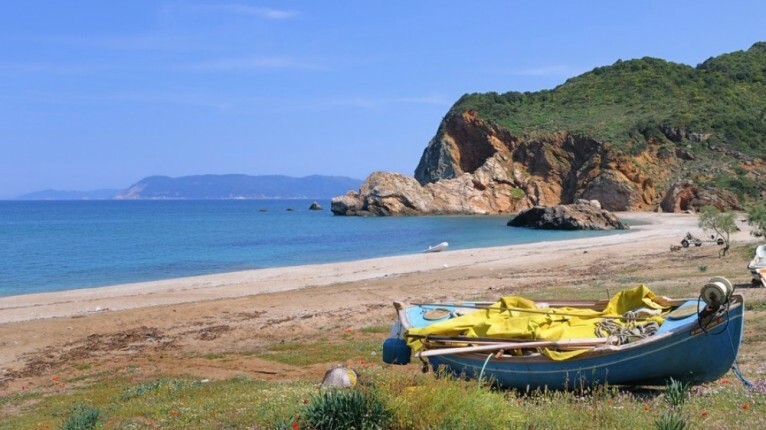 East of Argalasti you will find the large sandy beach of Potistika, 5 km from the village of Xinovrissi. Melani, its adjacent beach can be reached by a path from Potistika. 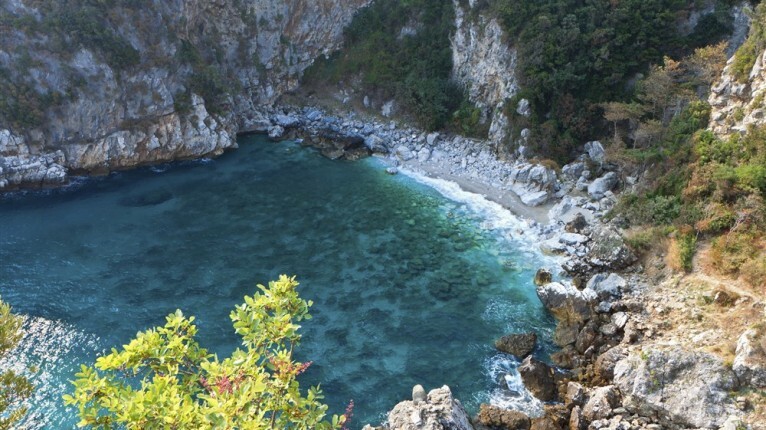 In the settlement of Pantazaiika, 10 km from the crossing of Argalasti-Xinovrisi, you will find the beach of Melani. A long sandy beach with stones on the seabed, it has easy access from the road that goes to the beach. Another road will take you to the beach of Paltsi. You will recognize this small beach by its unique formation of rocks that stretch out into the sea. With easy access, the beach of Mourtias is not easily forgotten. This small beach in the settlement of Katigiorgis is quite pretty, with the islands of Skiathos, Skopelos and Alonissos visible in the distance. This small sandy beach belongs to the settlement of Platanias, and offers organized camping, which operates during the summer months. From Platanias you can also book a boat trip to Skiathos. Accesible by car from the nearby village of Lafkos, 7 km away, Mikro is a small and peaceful beach located in the settlement of Mikro which is near Platanias. Mikro can also be accessed by a 600 meter path from the beach of Platanias. Passing through the city of Volos and Agria, the first beach that you will come to is the beach of Kato Lechonia. A mere 10 km from the city of Volos as you drive down the coast and you will find several restaurants and cafeterias in the area. 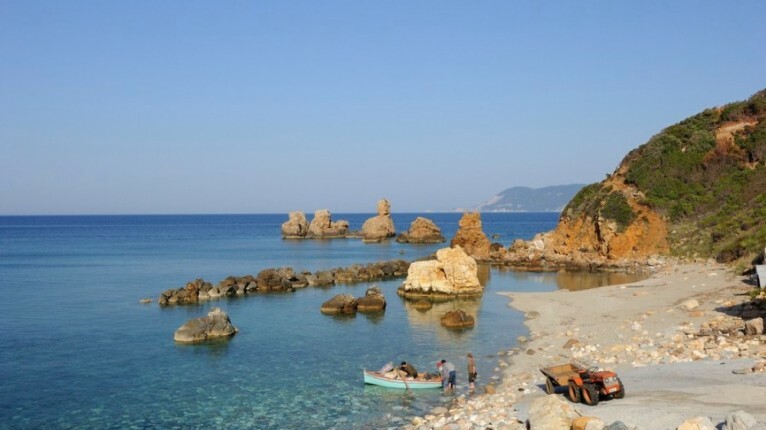 A small beach,in the village of Platanidia, consisting of shingle and offers a variety of restaurants. It can be reached with the town bus from the city of Volos. This sandy beach is located directly below the village of Ano Gatzea, next to the small marina with fishing and sailing boats. The beach road of Kato Gatzea offers several restaurants and cafeterias for a relaxing meal or drink. Perhaps one of the most well known beaches in the Pagasitikos Gulf. It is an organized sandy beach, at a distance of 20 km from the city of Volos. Kala Nera being a holiday resort, you will find a good selection of restaurants, cafeterias, bars and accommodation. 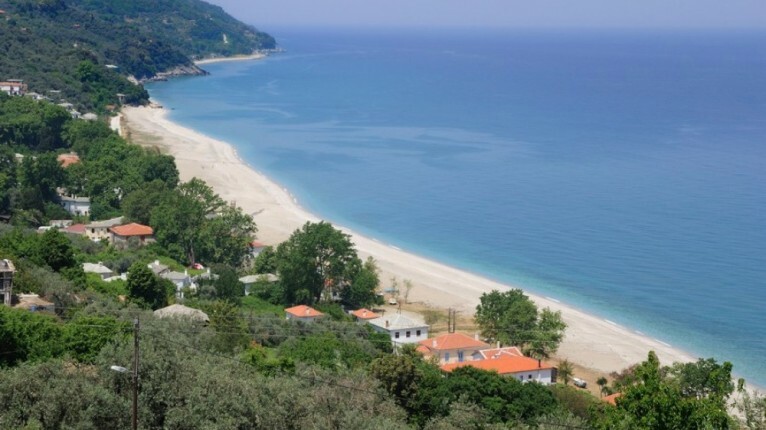 The beach of Koropi (or as the locals call Mpoufa) is the longest stretch of beach in Pelion, and is located in between Kala Nera and Afissos. 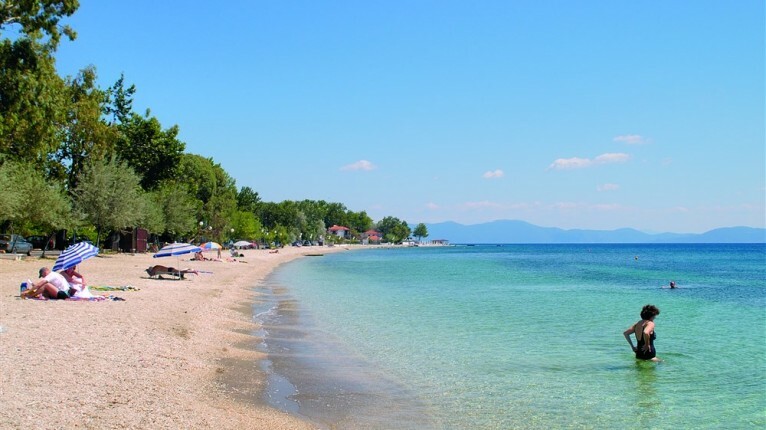 Very popular with visitors, this sandy beach is situated 25 km from the city of Volos. 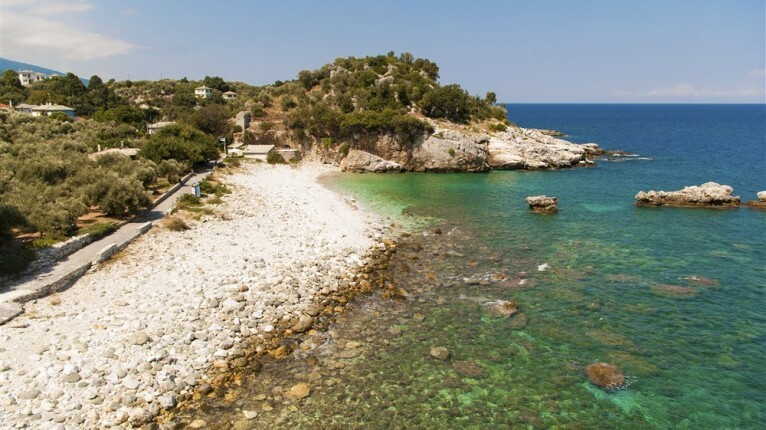 Afissos is where you will find the beaches of Ampovos, Lagoudi, Kalifteri, Agia Efthimia and Razi. With variations of sand and small shingle, all of them offer crystal clear waters. Ampovos and Kalifteri are organized and also offer water sports. 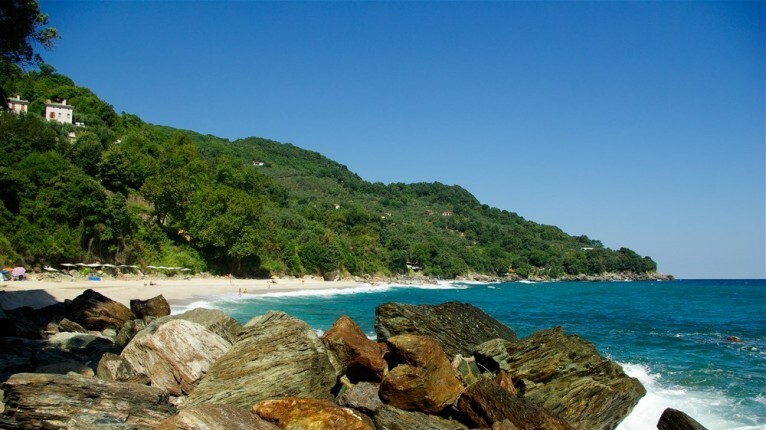 The beach of Lagoudi is a peaceful pebbly beach where the natural shade from the trees protects you from the sun. 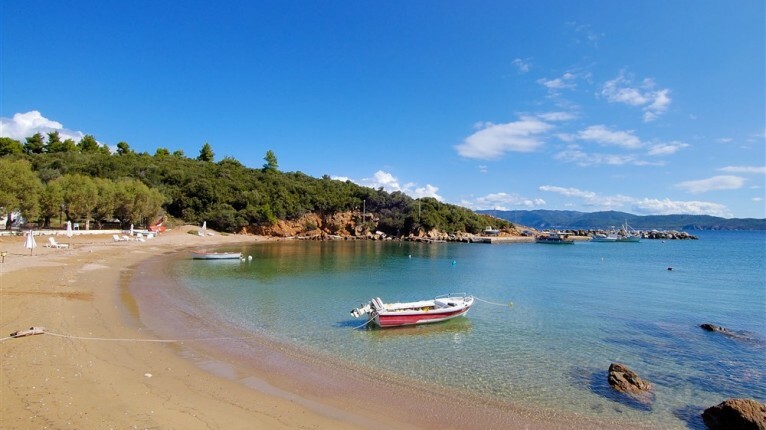 33 km from Volos, the small coastal village of Lefkoastro and its beautiful, sandy beach, offer peace and relaxation. With nature that stretching right to the waterfront, Lefokastro beach is a beautiful and unforgettable sight. 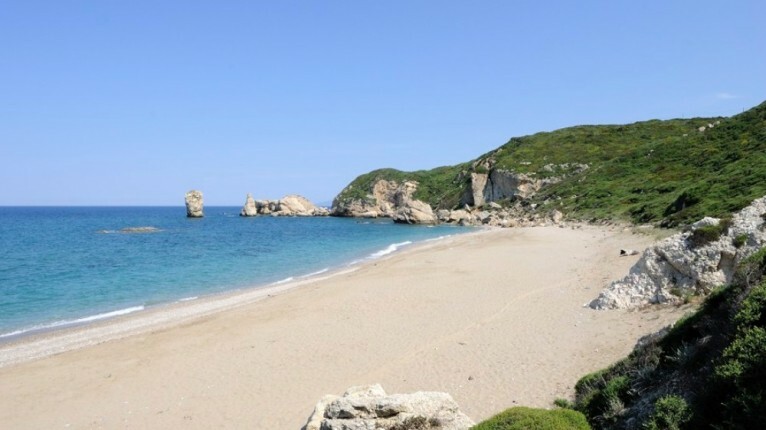 On the northern side of the village of Chorto, the beautiful sandy beach of Paou is easily accessible, but not visible, from the main road of Argalasti. Relax in the midst of the lush nature which surrounds it. Kalamos beach is approximately 45km from the city of Volos, and it is both peaceful and picturesque. As this is not an organized beach, visitors are free to enjoy it with no distractions. The island of “Palio Trikeri” (Old Trikeri) offers several beaches, with the most well known beach being “Prasini Ammos” (green sand), with crystal clear blue and turqoise waters, approximately 30 minutes away from the port of Trikeri. The beaches of Afetka and Agios Georgios are accessible from the Panagia Monastery and are just as breathtaking. West of the port of Agios Ioannis lies Agia Sofia beach, with the Alogoporos next in line. Access to the island of Trikeri is by boat.